The Samsung Galaxy Note 2 has been given its grand unveiling at IFA 2012. A gigantic 5.5-inch, stylus-packing, Android Jelly Bean operating “phablet”, you’re going to need some new trousers with big pockets to accompany this beast of a phone. This time round, the 5.5-inch screen sits in a 16:9 ratio, making it better for watching films on the gorgeous HD Super AMOLED 1280×720 display. A 1.6GHz quad core processor with 2GB of RAM should keep pretty much anything you throw at the Note 2 ticking over nicely. Measuring a whopping 80.5 x 151.1 x 9.4mm and weighing a not-insubstantial 180g, Android Jelly Bean 4.1 is the operating system of choice. An 8MP camera sits on the rear paired with an LED flash, while there’s a 1.9MP camera on the front. Shot and scene selection camera modes from the Galaxy S III have also made the jump to the Note, including, Best Faces, Best Photo and Low-light shot. Bluetooth 4.0, USB 2.0 and Wi-Fi connectivity make the cut, and there’s also an NFC chip inside for contactless payments. 4G LTE connectivity will also be present, in territories where the networks are available. HSPA+ will be present regardless. 16GB, 32GB and 64GB variants in either titanium grey or marble white will be available, each housing an impressive 3,100mAh battery and the option of expanding storage capacity by up to 64GB using microSD cards. The S Pen stylus also gets a makeover; it’s now thicker, longer and more finger-friendly, and uses a new Air View feature to preview content you’re hovering over before opening it with a tap of the screen. 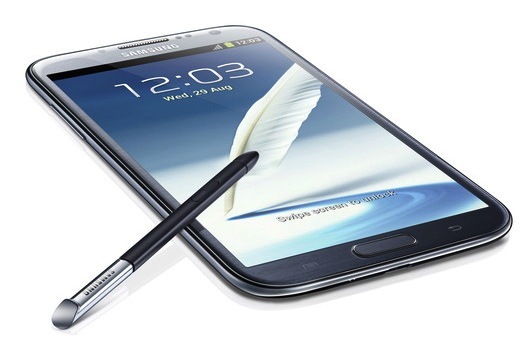 The Samsung Galaxy Note 2 release date is set as October in the UK, alongside European, Asian and Middle Eastern territories. The Galaxy Note 2 price is yet to be announced, but we’ll pass it on as soon as we know it. What makes Facebook a haven for fitness apps like Nike, RunKeeper and Endomondo? 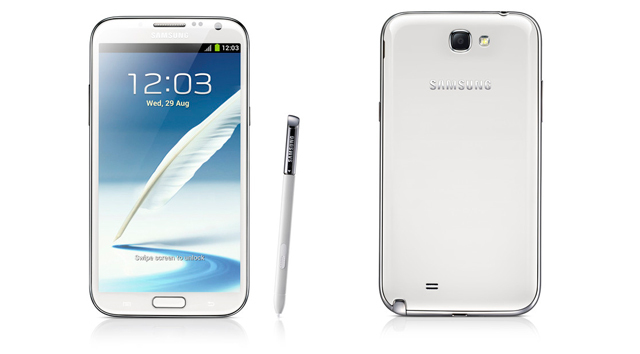 The Samsung Galaxy Note 2 has been given its grand unveiling at IFA 2012. A gigantic 5.5-inch, stylus-packing, Android Jelly Bean operating “phablet”, you're going to need some new trousers with big pockets to accompany this beast of a phone. HAPPPPY HAPPY HAPPY ABOUT THIS!!! Verizon, HURRY!